March 2, 2018 January 12, 2018 Linda Reimer Corning, Corning NY, Local History, New York State History, Public Library, Southeast Steuben County Library, Southern Tier. 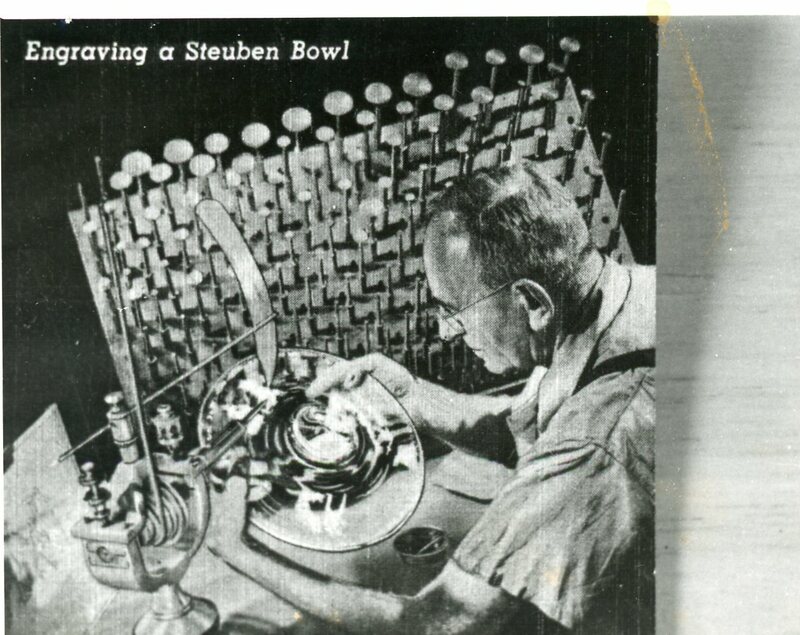 Our first photo for this week is of an old postcard titled “Engraving a Steuben Bowl.” And it does indeed show a Steuben Glass employee engraving a glass bowl. It does now however, say who the engraver is — although that information might have been on the back of the postcard. So if you recognize the Steuben Glass worker – let us know! 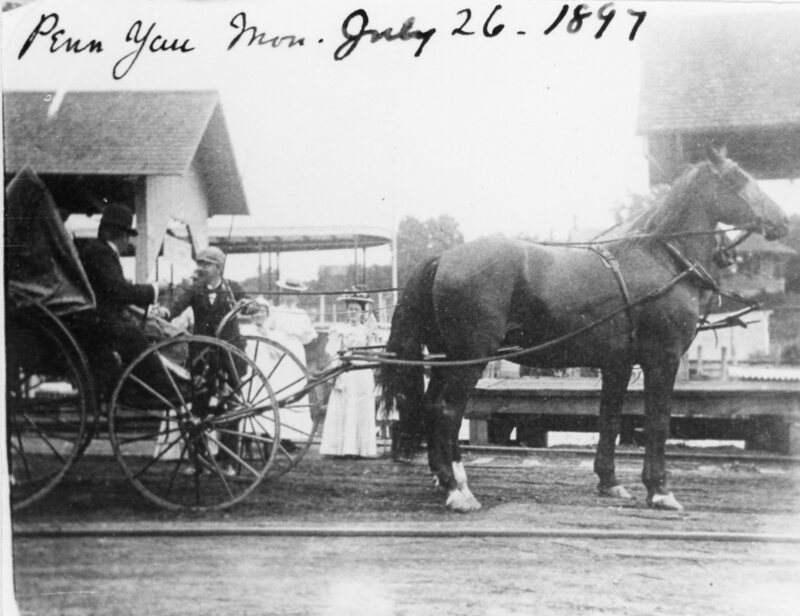 Our second photo for this week is of a group of people that seem about to take a ride in a horse driven carriage. And we may not know who the people are – but we do know when and where the photo was taken! In Penn Yan on Monday, July 26, 1897.